There will come a time when your loved one/patient may develop a serious illness such as lung, heart, or kidney diseases, Alzheimer’s, various types of dementias, stroke, neuromuscular disease, or some other terminal illness. When efforts to cure these illnesses are no longer working or have become harmful instead of being helpful, it may be that they are becoming appropriate for hospice care. You may notice your loved one has made multiple trips to the E.R or may have been admitted many times and they may have temporally been stabilized but the illness continues to get worse. You may notice now they want to remain at home instead of going back to the hospital and may no longer want to treat their diagnosis. If you notice your loved one is getting weaker and is declining, it is always a good idea to inquire about hospice care to see if your loved one/patient may be qualified for this service. 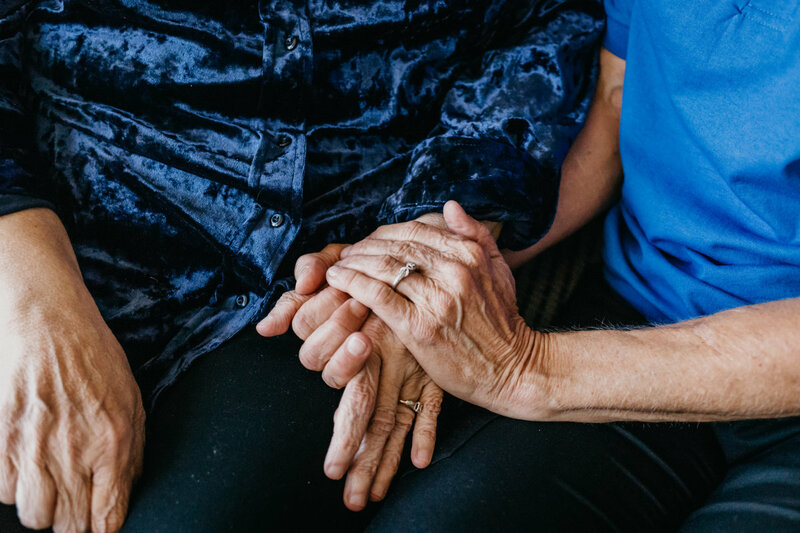 Once your loved one/patient has been put on Hospice care, here are some tips and information that will be helpful to know while caring for the person you love. To help your loved one/patient thrive while on hospice, it is very important that he/she has a good a diet. If he/she gets to the point of aspiration (not being able to get their food down), it is important to puree the food. You can also add a product called Thick- it. This is designed to thicken any liquids such as water, juice, soups etc. Since it is important our loved ones are getting food and liquids, these are some ways to make this process more comfortable. At the point where they are not wanting to eat, we must do anything we can to get some nutrients in their system. Make them shakes with ice cream, milk, fruits, ect. We must try to keep them consuming food any way we can as long as our loved one is comfortable. Light massage of a client that is mostly or completely bedridden is extremely important. just use some lotion and give them a light massage. This increases the circulation of the blood and of the lymph as well and helps their anxiety, pain relief, improving their joint and range of motion and delivering oxygen and other nutrients to the cells of the body. Light massage also produces a fluid called synovial n. This is a lubricating function that improves range of motion. The human touch alone is healing all by its self. Also, the undivided attention alone is comforting as well. When caring for someone who is bedridden, it is very important to have them elevated at a 90 degree angel while they eat and or drink. This will lessen the chances of your patient coming down with pneumonia. Let the food digest for about 20 minutes before lowering the patient. Also, if your client has a hard time breathing, keep them at a 30 or 35 degree angle rather than leaving them flat. The reason for the elevation is so that their fluids are able to drain. This takes the pressure off their chest and will keep them from aspiration and coughing. Be sure to re-position the patient every two hours as our bodies have pressure points putting pressure on any particular point longer than 2 hours will increase the chance for skin break down and pressure sores. It is also important to keep their body lubricated using lotion or vaseline. Change the linens and fluff pillows at least once a day. It is very important to keep their hygiene, physical appearance up, dental care, hair brushed, shaving, nail trimming, and common bodily grooming techniques. I’ve seen clients respond so positively when we take the time do their make-up, curl their hair, paint their nails, etc. I would get a mirror and show them how pretty or handsome they look. This makes them feel happy and good about themselves. I believe when we keep our loved one looking and smelling good, this gives them a boost of positivity and they need all they can get. We must be as encouraging and positive as possible. Caring for the final stages of life: Towards the end of life, many people begin to become unresponsive and silent. Many patients, though, are able to hear even at the point where they can no longer speak. The best thing is to speak to them as normal, share the day and time, advents, the holidays that are coming up, and also of other family members that may have called or stopped by. Another common occurrence in the latter stages of life is the loss of bladder and bowl control. At this point, we must keep them as clean and dry as possible. It is important when others may enter the room as we are changing our patient that we keep them covered. We don’t want them to be embarrassed and we need to keep their dignity as much as possible being sure we keep positive. Before she got sick, she always would dress to the nine and even though she was no longer speaking, I know she knows all we did for her and I believe this why she kept hanging in there. Being able to provide care for someone in the last stages of their life is a privilege. Let’s take it seriously and do all that we can to make the last moments of their life the best moments of their life. At Total Care Connections, we believe in providing the highest quality of in home health care at an affordable price. Unlike many other providers, we charge a flat rate for all of our home health services, including home care, couples care, recovery care, and more! It’s our dedicated mission to provide your family with truly compassionate and caring professionals to take care of your loved one. All of our caregivers are certified through out state-approved Direct Care Worker training program. Learn More about our press and media coverage across Arizona.